Happy Magical New Year! Fourteen days in, my first blog post of 2019 is about resolutions. Getting a feel for this magical year, I ask for what I am seeking to effortlessly come true. Revved up for my 2019 Vision Board party, I celebrate my accomplishments of 2018. I get curious around the ideas popping up. I smile knowing my dreams put out there are materializing. And if truth be told, I always ponder the word DIET as it invades my otherwise perfectly exciting and happy vibration about endless possibility for the upcoming year. Ugh! Yes, I always intend to live a healthier, happier and more abundantly prosperous life. Yes, I look for empowering thoughts that give rise to positive emotion. However, the word DIET does nothing to further that sentiment. For habitual restrictive reasons or how it is batted around in the New Year’s marketing mindset, the word DIET gives rise to a punishing state of mind. And for me, when it comes to anything that challenges the joy of living my life out loud, I resist. And resistance is in direct contrast to the effortless flow that I look for on the daily. So, reflecting on the 5 actions that prove to bear fruit year after year for the 5 areas (physical, spiritual, financial, intellectual and spiritual) of my life (DECLUTTER to clear the space, ORGANIZE to focus the mind, PRIORITIZE to fine tune the body, GET CREATIVE to churn up the magic, & CHOOSE MY TRIBE to align with other magical manifesters), I choose get creative to change the meaning of the words I use. And I came up with what follows to empower my life through the S.H.I.N.E. D.I.E.T. resolution. Make a resolution to Shine! 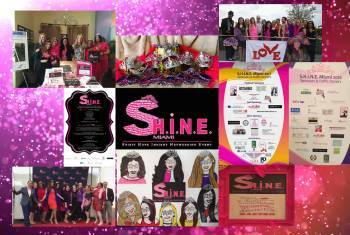 As I am preparing for my annual event called S.H.I.N.E. Love, this feels easy and effortless. As set a mindset of success, I chose to GET CREATIVE around an acronym that makes my inner being happy. What does S.H.I.N.E. stand for? Spirit, Hope, Insight, Networking Event. Simple enough. This is where I go year after year to get empowered, shift where I need to shift, and collaborate with others to juice up the energy and excitement all around me. I created this into reality. I imagined this and found others to magically collaborate to make a more beautiful unfolding. When I hear the word S.H.I.N.E., I feel the light within me get even brighter. This is a word that excites and engages me to show up shining. Words are powerful and important. Words can lift you up or destroy you. Now, I thought how will I shift the negative connotation of the word DIET? Sprinkle some pixie dust and see what can happen. Now, what happens to the word D.I.E.T. when coupled with S.H.I.N.E.? Diva, Intrigue, Elevate, Thrive. Wow, these are the kind of words I can get behind. Coupled with S.H.I.N.E., the S.H.I.N.E. D.I.E.T. become all about how we, as Divas, ultimately show up in this world. The word diet actually comes from an ancient Greek word meaning ‘a mode of living’. Now, the S.H.I.N.E. D.I.E.T dictates a mode of living that I choose is to empower myself into a world where I can SHINE! So back to resolutions and vision boards. Like I said, I have a ritual that I love. On recommendation of a wise friend, I have waited until Martin Luther King Jr. weekend to set my resolutions to give myself some time to get a feel for each year. With the “I Have a Dream” mantra leading the way, I get ready to collaborate and play. And yes, this year fine tuning my physical self is an important part especially because milestones are not that far away. So with my S.H.I.N.E. D.I.E.T. mode of living shifting the ever restrictive philosophy to one of release and of effortless flow, I am now fully ready to go. 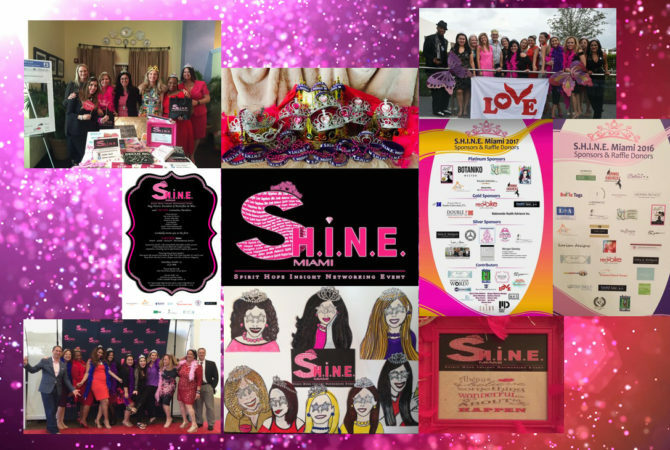 I am a shiny diva that is intrigued enough to begin to elevate my life to thrive! May all of you come to a peaceful place that your life is one that you get to deliberately create. And, as you do, get excited, add more clarification and specifics to those areas that resonate and get more general around things that you resist. In time, you will start to lay new soundbites into the soundtrack of your life that will make you want to do the happy dance. Continue to choose the thoughts that feel the best and lend a hand to positive momentum and your desires come true. Make a resolution to S.H.I.N.E. and if you are in Miami, join us on March 3, 2019 to collaborate with an incredible group of people that will make it easier to do. Happy magical New Year- Blessings, Butterflies & Bliss is my wish for each one of you!